Here are five reasons why Outlander deserves a truly golden night—and why you need to be watching if you’re not already. It’s the perfect adaptation of the perfect book series. You know how scary it can be when your favorite books are being adapted and you’re thinking, “What if they mess it up?” Well, Ron Moore and co. have accomplished the world’s most impossible feat—they have not only satisfied but thrilled one of the most die-hard fanbases you will ever find. The show remains true to the books while keeping the exciting pace and dramatic tension needed for the screen. Every second of footage has been nothing short of enthralling. Have you seen the costumes? Have you seen the sets? It’s like the most beautiful Academy Award-winning film you’ve ever seen, but in TV form, week after week. I can’t. I just can’t. It’s all about girl power. 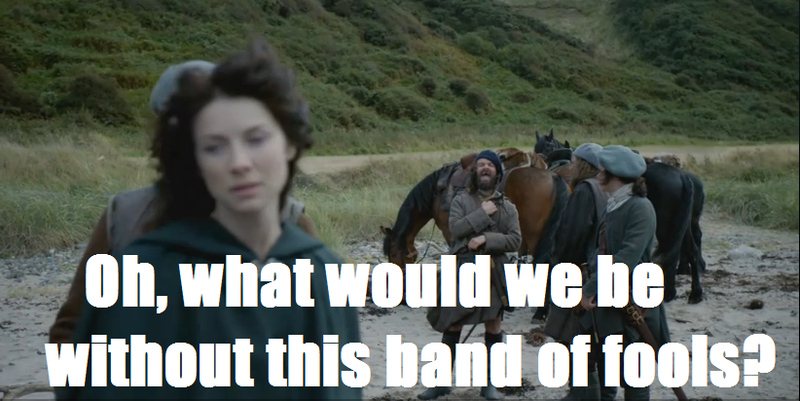 All hail Queen Diana Gabaldon for giving us the greatest heroine ever. I dare you to find anyone on TV as intelligent, sassy, and fiercely independent as Claire Fraser, and Caitriona Balfe brings her to life perfectly in every single scene. 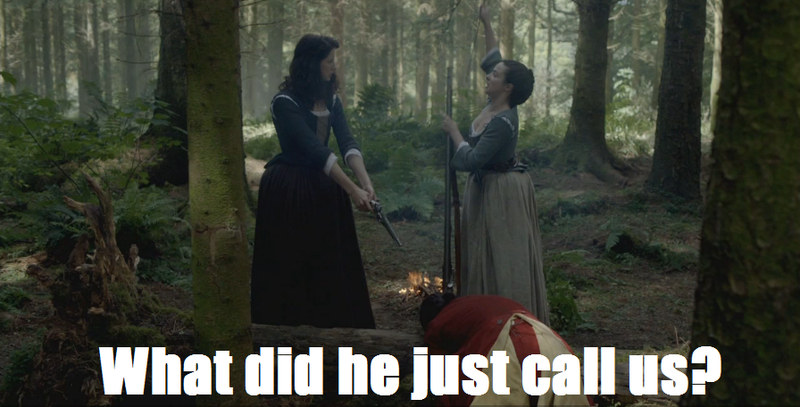 And it’s not just Claire. Between Jenny Murray, Geillis Duncan, and yes, even that weasel we love to hate Laoghaire, Outlander proves that there are indeed incredible roles out there for women. It has the best cast on TV. For fans of the books, the idea of finding actors who could live up to the characters we’ve held in our hearts forever seemed impossible. From housekeeper Mrs. Fitz to clan chief Colum MacKenzie, every member of the Outlander universe is filled with layers and layers of depth. The cast of Outlander does a brilliant job of taking those characters and staying true to them, but making them their own. From moments of humor (please see: Claire and Murtaugh’s song and dance) to the most horrifying material an actor could deal with (Jamie and Black Jack at Wentworth Prison), every actor on this show knocks it out of the park. Or the shinty field, if you will. 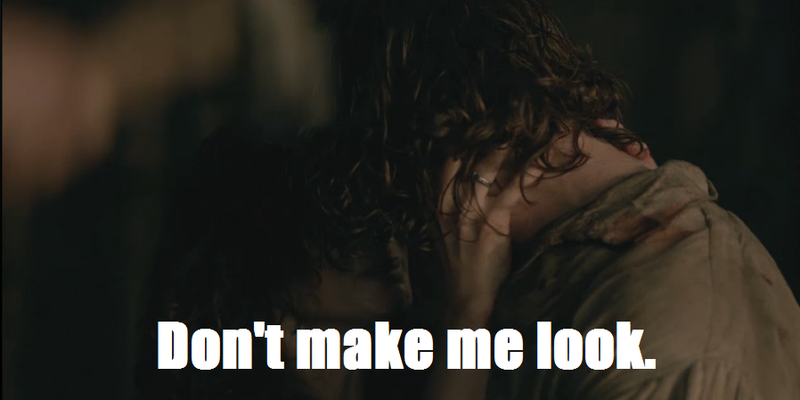 Sorry, Degrassi, but Outlander might need to borrow your tagline. Whether it’s dealing with 18th century discipline or the depths of evil a horrific sadist is capable of, this show does not hold back and boldly goes where no show has gone before. Does it make for some incredibly uncomfortable moments that make you want to cover your eyes? Yes, but never once is it done for gratuitous “let’s see how far we can push it on premium cable” shock value. Every painful moment is imperative for the sake of the story, testing the mettle of the characters we’ve come to love. Because, really, if you want to watch a show where nothing bad ever happens to anyone, that’s what the Best TV Comedy series category is for. 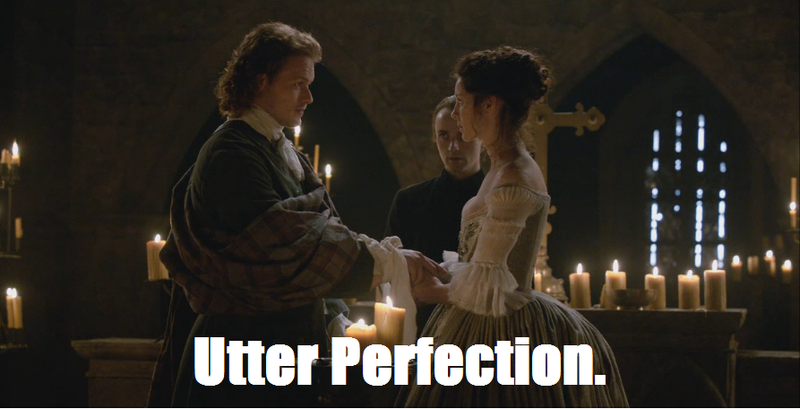 There are many, many more reasons why Outlander is the best show on TV, but honestly, we could be here all day, and with the Golden Globes starting in just a few hours, we don’t have that luxury. 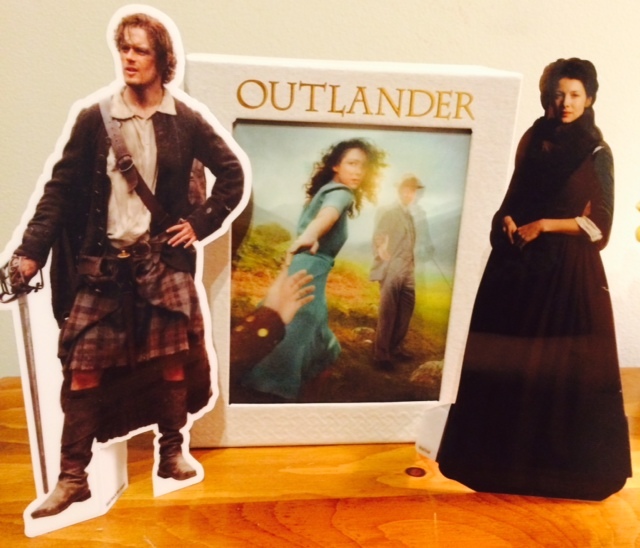 Sending all of the best wishes, crossed fingers and toes to the Outlander team, who are always winners in our book. Raise your rhenish in a toast to the clans MacKenzie and Fraser and feel free to leave a comment about your favorite aspect of Outlander!